An initiative to pray for 40 European countries throughout all of 2019 was launched on 11 February. “Students from each country are identifying the idols of their countries, and the main ways that we can pray for their nation. They are producing a 1-minute video sharing how we can contend for their nation before God. A different country will be highlighted every week: Revive Italy, Revive Belgium, Revive Cyprus…”, said Sarah Breuel, Director of ‘Revive Europe’. The aim is that “people from across the continent will be encouraged to pray and fast at least once each week, praying for that country”. Christians are encouraged to cover forty European countries in prayer until December, when the “Revive Europe” congress for people aged 18-30 will be celebrated in Karlsruhe (Germany). Belgium and Cyprus will be the next two countries to pray for. “We are calling our continent to pray. 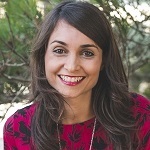 We are hungry for a Move of God in Europe”, Sarah Breuel told Evangelical Focus. During the first week of the campaign, more than 170 people from 36 countries had already committed to pray for Europe until December. Sign up here to join the initiative. Question. Why a 40-week prayer campaign for European countries? Answer. We are calling our continent to pray. We are hungry for a Move of God in Europe. We are eager to see God breathe afresh in this student generation. We are longing for God to turn the tide for the gospel in Europe. Humbling ourselves before God is at the heart of what we are doing. We want to pray, to fast and to seek His face. We want to identify the idols in our nations, to encourage personal and corporate repentance. We believe that when we do so – as individuals, as groups, as nations and as a continent - God will hear us and heal our land. Q. What role does prayer play in Revive Europe? A. Revive Europe is both birthed out and of carried through prayer. Prayer, repentance and worship is at its very core. Why? Because we are desperate for a touch of God in this generation, and there is no other way. We want to intentionally create an environment, to create fertile soil for God to act and move. We seek to play our part with humility, and are, full of faithful expectation to see what God will do. He is the one who longs to see his children turning fully to Him, so we are simply responding and obeying his prompting. 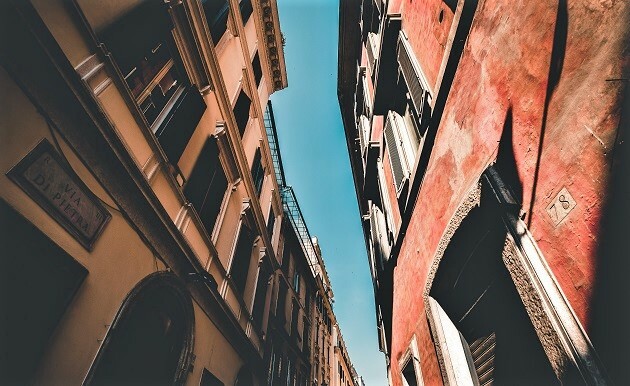 ReviveEurope calls to pray for 40 European countries between February and December 2019. Q. How can people from across Europe pray for the same prayer issues? How will it work in practice? These videos will be shared widely via social media every Monday, starting on 11 February. People from across the continent will watch these videos, and be encouraged to pray and fast at least once each week, praying for that country. Our hope and prayer is that the Spirit will breath into this initiative, uniting His people in prayer, spreading spiritual hunger, calling His children to journey together as a community during these 40 weeks. This will culminate with us coming together at the end of the year, in days that will be filled with prayer, Bible reflection, individual and corporate repentance, and worship. Q. Are you happy with the rhythm of the registrations so far? From how many countries are there already participants registered? A. God has completely exceeded our expectations. We are overwhelmed with the way people have responded so far. We launched Revive more than one year in advance, and we were praying that 500 registrations would come in by our first deadline of 31 December. God has blown us away: we’ve received over 2,250 registrations from more than 40 countries a whole year in advance. This has filled us with faith, and has given us confidence to trust what God is preparing. He is truly going before us in every step. Q. 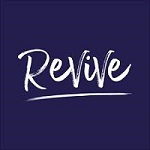 How can people pray for the Revive organization team? A. By God’s grace, we are now more than 25 Christian organizations rallying behind this vision of pursuing a move of God in the student generation in Europe. Our prayer and invitation is for students, organizations, churches, and nations to join us as we humble ourselves before God. 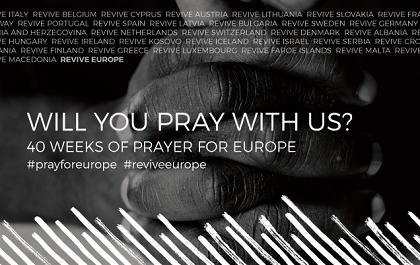 Come pray with us, fast with us, and cry out with us for God to do what He alone can do: Revive Europe. Learn more about Revive Europe here and on its Facebook, Instagram, Twitter profiles.